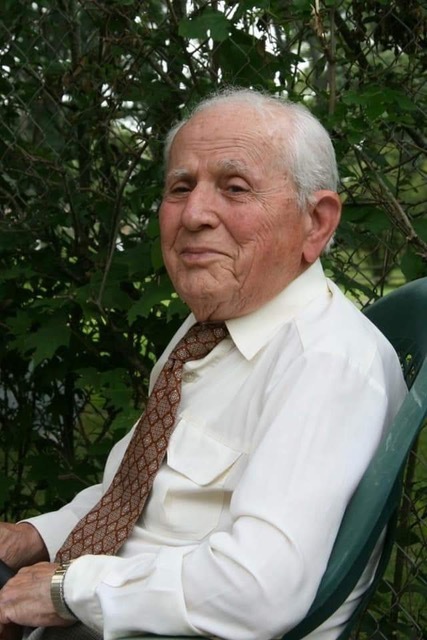 Jordan Spasenovski, 93, of Battle Creek died early morning of Sunday, January 20, 2019 at Bronson Battle Creek Hospital. Jordan was born on January 16, 1926 in Orlanci, Macedonia. Radica; nephew: Cedo Kirsanov, cousin: Milan Pop-Simjanovski, and brother-in-law: David Fettig. The Spasenovski family would like to extend an extra thank you to all of those who have cared for Jordan at CareWell Services, Home Care Transitions, Great Lakes Home Care, Marian E. Burch, Dr. Jasmine Oliver, Dr. Rakesh Bhan, and Bronson Battle Creek Hospital. Visitation will be held on Sunday, January 27, 2019 from 3-6pm following the Panikhida at 6pm at the Bachman Hebble Funeral Service. Memorial services will be held at St. Elias Orthodox Church at 5066 “B” Drive South on Monday, January 28, 2019 at 11AM, officiating will be The Very Rev. Archpriest Lawrence Bacik. A luncheon will be held at the church following graveside services. Flower arrangements can be sent to Bachman Hebble Funeral Service and memorial donations may be made out to St. Elias Orthodox Church.